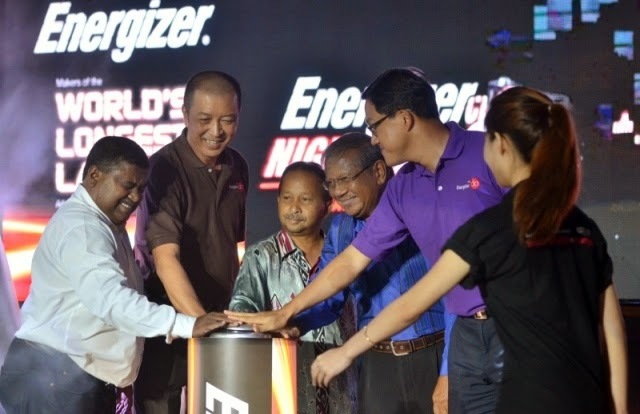 The Energizer Night Race 2014 is Back! The race is on the 9th August 2014 at Dataran Merdeka. It’s a race for a brighter world. Time to lace up your running shoes and start to run, that’s positive energy. The registration is now open. There will be 6 categories altogether: The 15 KM Men’s Open (18 years and above), 15 KM Women’s Open (18 years and above), 15 KM Men Junior Veteran (40-49 years old), 15 KM Men Senior Veteran (50 years old and above), 15 KM Women Veteran (40 years old and above) and the 5 KM Fun Run (7 years old and above). Registration fees are RM50 for the 5 KM route and RM60 for the 15 KM route. With the starting point at Dataran Merdeka, a landmark for many momentous events in the city and Malaysian history, both the 5 KM and 15 KM routes have been carefully designed for runners to take in the wonderful vista of the city’s famous locations such as the National Monument, the Parliament, Jalan Tunku Abdul Rahman and the iconic Sultan Abdul Samad Building. There will also be a massive celebration waiting for runners when they reach the finish line. The race targets to have an estimated 15,000 runners to join Energizer Night Race 2014, making it the largest night race in Malaysia. The signature global race series first had its beginnings in South Africa in 2007. To date, it has been held in Peru, Philippines, Mexico, and Spain with more than 220,000 runners lacing up their running shoes to help make a positive impact through the Energizer Night Race for a Brighter World. 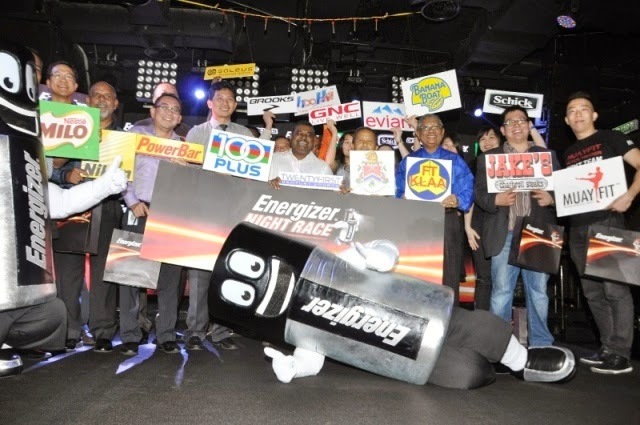 The Energizer Night Race 2014 will be supported by Banana Boat, Schick, Brooks, Evian, Jake’s Charbroil Steaks, GNC Live Well, 100Plus, HooHA! Asia, Milo, Nestle Fitness, PowerBar, Nikon and Soleus Running Watches. 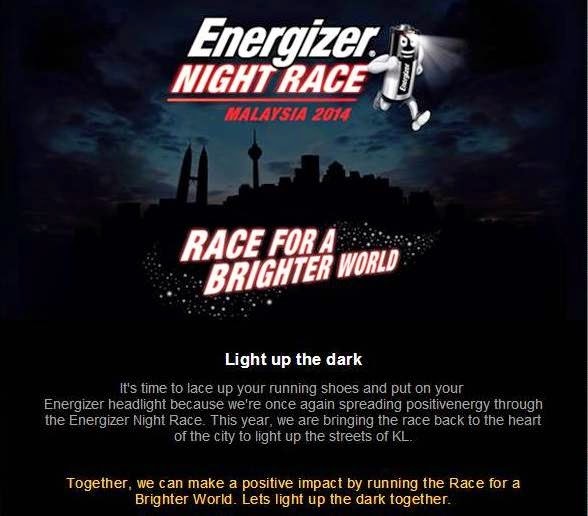 Interested participants can register online at www.energizer.com.my/nightrace from 22 May to 8 July.